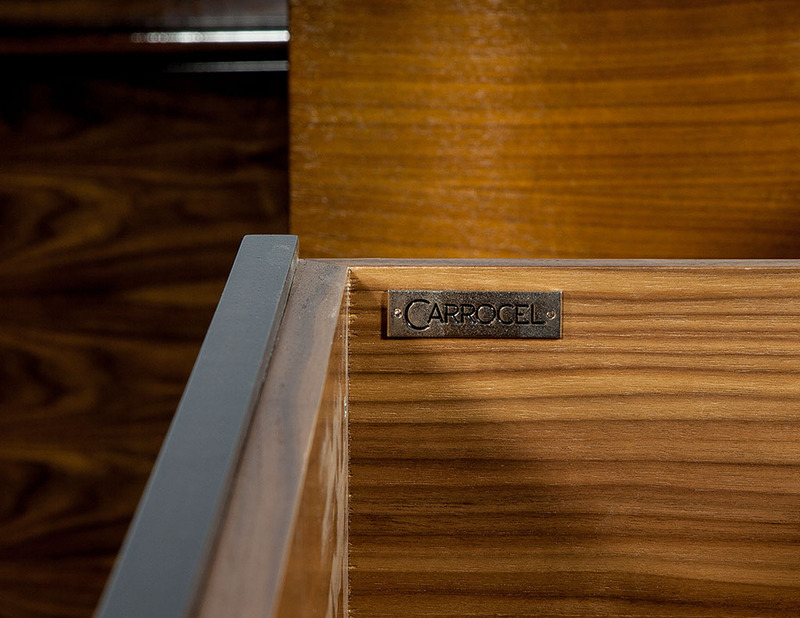 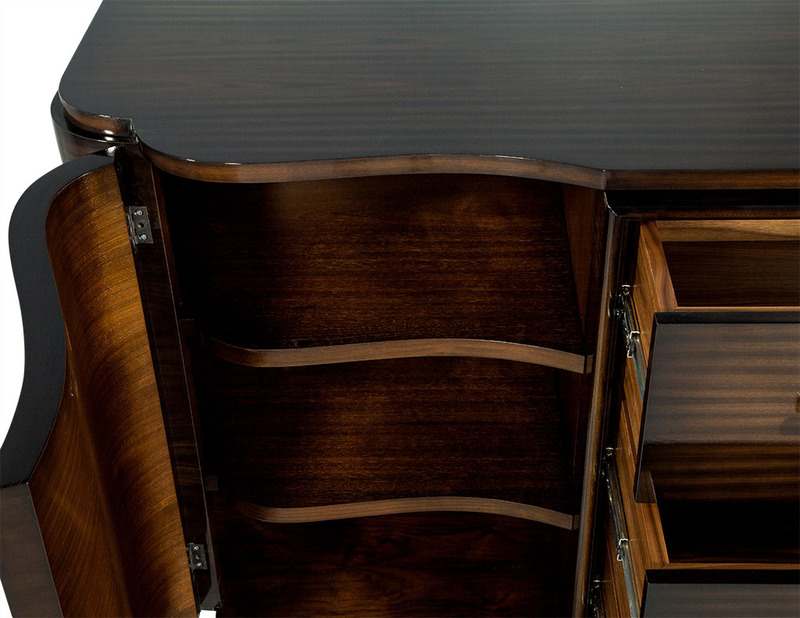 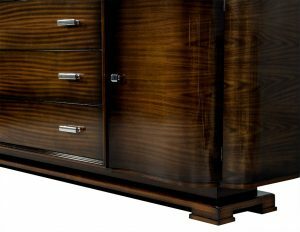 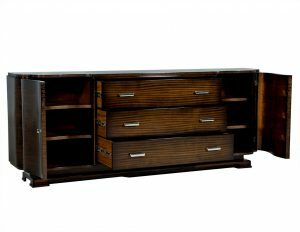 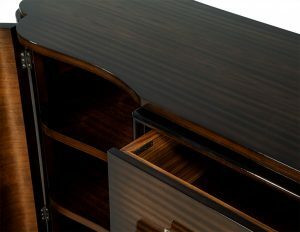 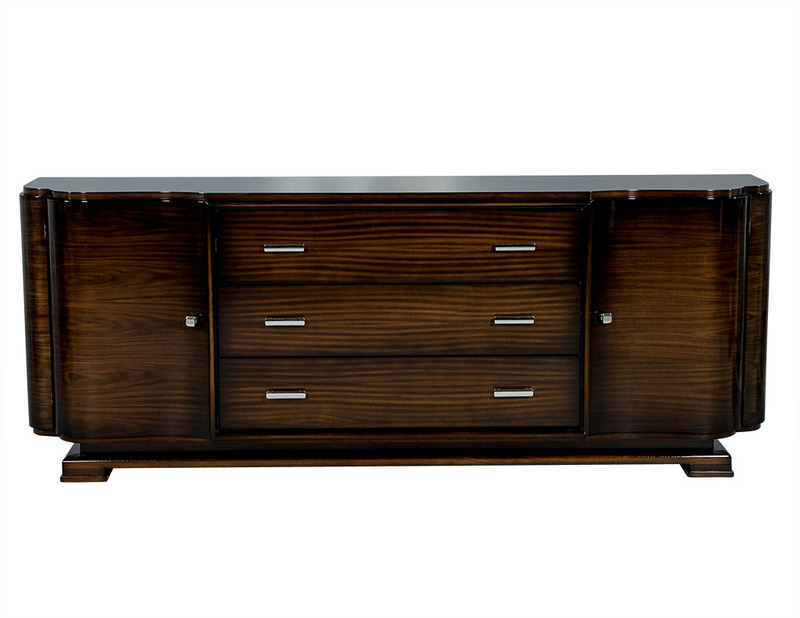 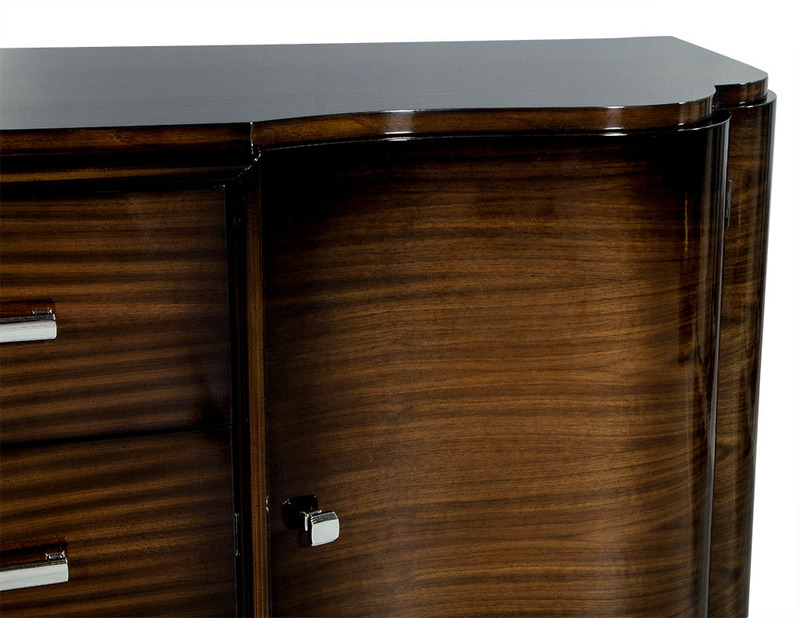 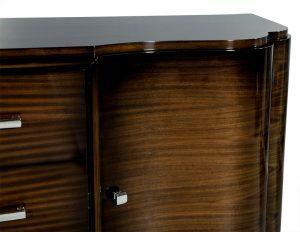 This made to order, art deco style buffet is crafted out of solid walnut. It has three large drawers in the middle with two curved doors on the ends with three shelves inside. 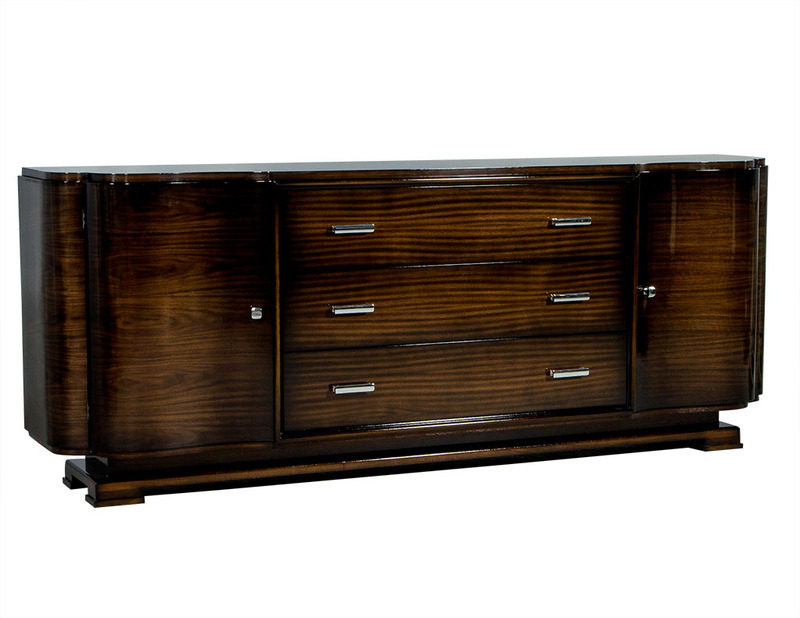 A functional and beautiful piece, perfect for a classic home. This piece is made to order, lead times range from 8-12 weeks.